UK retailer The Co-Op has predicted that 65% of all transactions at its supermarkets and convenience stores will be made using mobile phones by 2025. The forecast follows research released by the company which shows that contactless use at its stores has trebled in a year and that almost 11m contactless transactions now take place at its 2,800 locations every month. 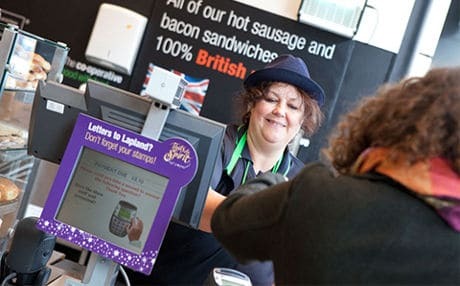 The research, based on the shopping behaviour of 2,000 consumers and carried out by The Co-Op’s food payments and group insight departments, reveals that the average basket spend for contactless is £8.66 and the average spend by customers buying fuel using contactless is £9.38. The findings, however, also show that almost two thirds (65%) of all payments at Co-Op stores are still being made with cash.